Judo is a fun sport, an art, a discipline, a recreational or social activity, a fitness program, a means of self-defence or combat, and a way of life. It is all of these and more. Judo comes to us from the fighting system of feudal Japan, Dr. Jigaro Kano, studied these ancient forms and integrated what he considered to be the best of their techniques into what is now the modern sport of Judo. Judo, which is translated as the "gentle way", teaches the principle of flexibility in the application of technique. This is the flexible or efficient use of balance, leverage, and movement in the performance of Judo throws and other skills. Skill, technique and timing, rather than the use of brute strength, are the essential ingredients for success in Judo. 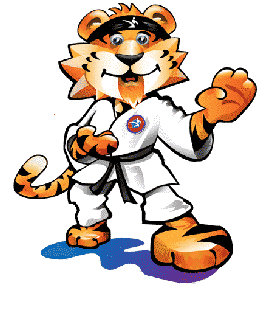 Courses – Training courses for Judo, Kata, coaching. 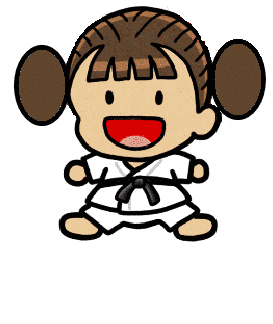 Gradings – 2 to 3 times per year, held with a few local clubs. Social Events – Theme park trips, children’s parties. The club is a non-profit making organisation. All fees are fed directly into the club for payment of costs such as hall hire, transport to events and courses etc. 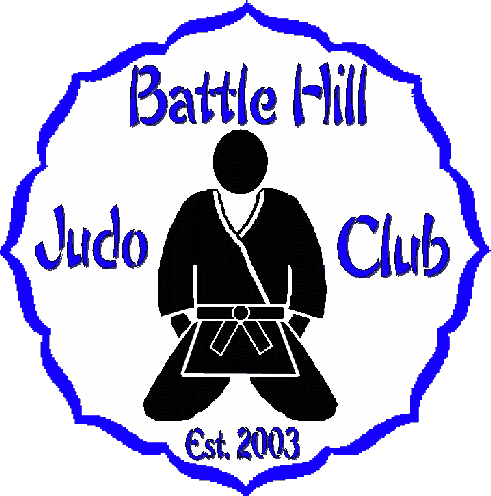 There is no fee for joining the Battle Hill Judo Club. The first session is absolutely free. Session fees for children and adults are £3.00 per session. The origins of Judo start way back in the Ming Dynasty (1368 – 1644) where a form of wrestling was practised in China. The Japanese modified this art adding speed and agility to the techniques to create Jujitsu “the gentle art”. This was practised predominantly by 19th Century Samurai warriors, adding unarmed combat skills to their armed combat abilities. Contests were very rare and were decided by the death or crippling of one contestant. In the early 1880's, Professor Jigoro Kano, a teacher from Tokyo who had studied Ju-jitsu as a young man, but was confused when masters of various schools tough similar techniques in slightly different styles. Dr Kano searched for a common principle and identified it as the efficient use of mental and physical energy. Dr Kano was concerned with the many injuries suffered by students learning Jujitsu and wished to emphasize its healthful benefits. As he wrote, "Jujitsu employed dangerous	practices such as throwing by quite incorrect methods or by roughly applying torsion to the limbs". Kano filtered out the more hazardous techniques and combined some of the more benign Jujitsu techniques with those of other arts, like Karate and Sumo, and added some methods of his own to create his own system and code of conduct for students to follow, called Judo. 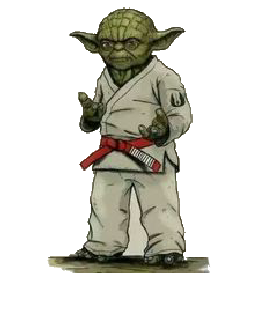 Hence,he transformed the practice of Jujitsu (Ju = flexible, yielding) from a fighting art ("Jitsu") to a way or path ("Do"). Gradually, Judo gained appeal. Between the two World Wars, the military often trained in Judo because it instilled discipline in the men. Although some Westerners travelled to Japan during this time, Japanese masters are the most responsible for the spreading Judo around the world. After World War II, Judo was introduced to America. 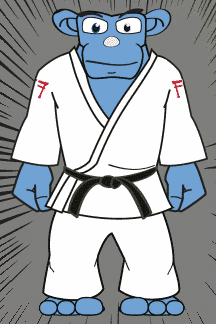 The International Judo Federation was formed in 1951 in Seoul, South Korea (which is currently Judo's governing body). By 1964, Judo had gained enough appeal to become an official sport and the first martial art to be included in the Olympic Games in Tokyo. 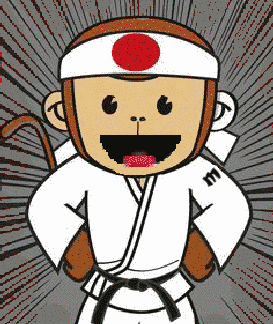 JUDO was brought to Europe by Gunji Koizumi, one of Dr. Kano's original students. He founded The BUDOKWAI Judo Club in London in 1918 where Yukio Tani was apponted chief instructor in 1920 (pictured applying a strangle to Koizumi). Koizumi's vision for the growth of judo on an international basis began to materialize in 1948. On 24 July that year the British Judo Association (BJA) was established as the representative national body; four days later a meeting under the chairmanship of Trevor Leggett (pictured throwing Geof Gleeson), the most senior non-Japanese player in the world, approved the constitution of a European Judo Union (EJU) to represent judo in the continent of Europe. The International Judo Federation was formed in 1951 in Seoul, South Korea as an inter-continental body with overall control of judo. By 1964, Judo had gained enough appeal to become an official sport and the first martial art to be included in the Olympic Games in Tokyo. A further organisation, the British Judo Council (BJC) was formed in 1958 by Kenshiro Abbe Sensei of the Butokukai,	which was, until the end of the Second World War, the special training college for the Martial Arts Society, controlling all teaching and gradings in Kyoto, Japan. There are many Martial Arts Organisations established Nationally and internationally, below is a brief list of some of them with Founding Dates. Judo enables its practitioners to gain self-respect, self-confidence, and self-expression; while mastering of such basic natural laws as gravity, momentum and unity of forces. From its simple beginnings in nineteenth-century Japan, Judo has spread in popularity throughout the world. Its rich, medieval heritage combined with a modern, scientific approach has made Judo a very rewarding sport for people of any age. 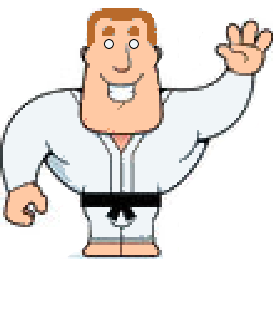 We are a non profit club, with all staff provising their time voluntarily, this means we do Judo because we love it, and that enthusiasm and passion flows into the lessons. We cater the clubs activities to suit the needs of the students. If students wish to compete great we will provide a route to the National championships.